6, 2018 in New York City. Mariah Carey is getting more for Christmas than "you" – she broke a whole global record on Spotify. The annual regurgitated Christmas hit, "All I Want For Christmas Is You," has broken the streaming platform's global record for most streams in a single day, according to The Faders. Christmas song reached 10.8 million streams on Christmas Eve. Issa holiday earworm! Spotify's former record-holder was the late XXXTentacion for his song, "SAD!" Which reached 10.4 million streams on June 19. The rapper was killed the day before his song made the record, at age 20. On Christmas morning, the whistle-register-hitting Carey woke on her silk sheets woven from Narnia-based silkworms, summoned forth hovering tea caddy, nibbled on a biscuit drizzled with gold icing, and to news. "Wait … what ?!" she exclaimed on Twitter. After celebrating by having a hired staff of people cheer for here's how she does not waste precious oxygen screaming herself, the Grammy award winning singer frolicked in the snow with santa and real-life reindeer. Yeah, Rudolph's descendants and third-cousins, twice removed! 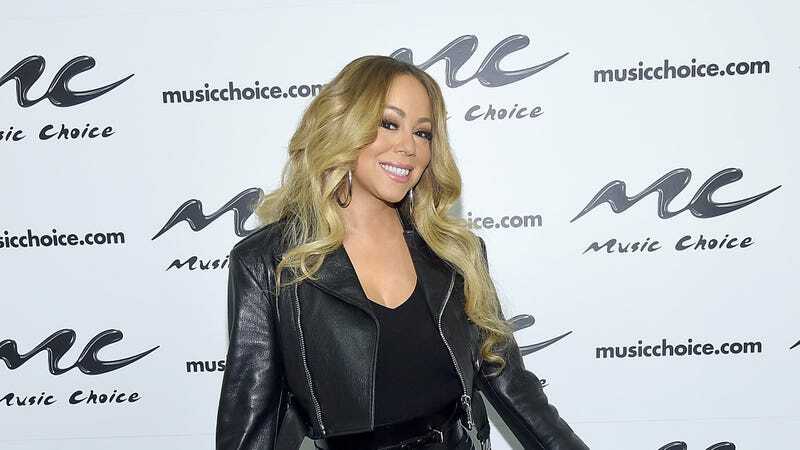 Mariah's song is not going away anytime soon-seriously, the robots are taking over our lives in the Black Mirror Matrix wants it in the year 2102-we hear it in commercials, movies, television shows, and beyond. Here it is again, just in case you'd like to hear it for the fifty-eleventh time. You know you do.